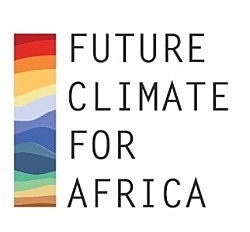 At the Future Climate For Africa Mid-term Conference, researchers deepened collaboration, discussed progress, and debated the impact and legacy of FCFA research. Read the abridged conference report for FCFA research highlights 2015 – 2017, conference proceedings and key outcomes. AMMA-2050 researchers completed an Atlas of Climate Metrics for West Africa. These reports show the future changes of various climate metrics compared to the past for different regions in West Africa as derived from CMIP5 models. The climate metrics are available for different regions, seasons and months. FRACTAL facilitated a learning exchange between the cities of Ethekwini and Lusaka that culminated in the signing of a Climate Change Compact partnership between the two cities. This partnership will result in developing a network of African cities that will include university students generating research to provide solutions to climate change challenges faced by communities and local government. FRACTAL partners hosted a breakfast meeting with Lusaka city and state officials and residents of Lusaka’s oldest informal settlement, Kanyama, to raise awareness of climate change impacts on water, sanitation and hygiene (WASH) in Lusaka and improve coordination between stakeholders. The meeting was attended by Minister of Water Development, Sanitation and Environment, Hon. Lloyd Kaziya, the Deputy Mayor of Lusaka, Ms Chilando Chitangala, city councillors and directors of key water and climate-related organisations in Zambia. View a recording of the meeting here.